« LCA Theatre: ‘Nutcracker’, Leeds Grand Theatre. Friday 7 December, 7.00 p.m. ‘Silent Night’ – Leeds Town Hall, Leeds. 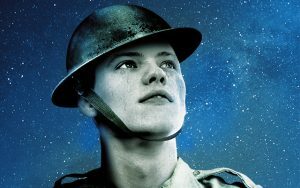 Inspired by real events, Silent Night tells the story of the 1914 Christmas truce, when peace spontaneously broke out in the trenches during World War I, using the power of 100 male operatic voices and the Orchestra of Opera North, against a projected backdrop of original footage. With cinematic music by Kevin Puts, and words by Mark Campbell, this UK premiere is part of a series of events in the city marking the centenary of the end of World War I. We have a very limited amount of tickets at discounted rate available for this production, please contact Sibylle@leedscombinedarts.org.uk to check if tickets are available.